What’s an American summer without a BBQ or three? Whether it’s steak, corn, pizza or pineapple, make the barbecue your secret weapon to fuss-free fare with our top three BBQ hacks! Creative, aromatic and completely decomposable! 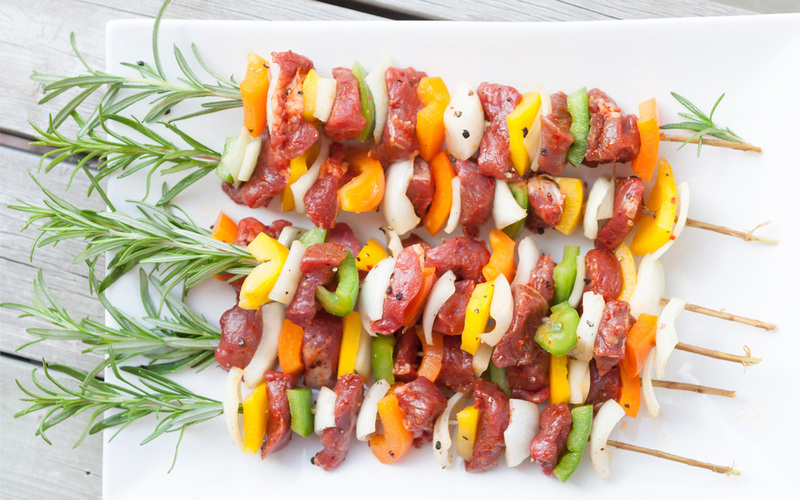 Rosemary sprig kebabs are a must for summer entertaining. Pick fresh, sturdy rosemary sprigs (fully submerge in cold water to soak if not using immediately – this will reduce any chance of burning). Remove approximately ¾ of the leaves (use these in a marinade or for decoration). Sharpen the wood, then pierce and thread desired vegetables or meat onto the sprig – we recommend starting from the thicker end to avoid any breakages. And voila, a perfect flavour-enhancing alternative to wooden or metal skewers! HINT: We love making vegan, gluten-free kebabs with mushroom, pineapple, onion, carrot and peppers. For that traditional smoky flavor, a crispy Italian style base, even cooking, and minimal clean up – pop your pizza on the barbie. You’ll even avoid cooking odors in the kitchen! Place a pizza stone in a cold barbecue and preheat with the hood down to around 430°F. Place the pizza on the stone and cook hood-down. A homemade dough base will cook in approximately 10-15 minutes, and a premade base in 7-10. Finito! HINT: Chicken seasoned with Massel makes for a great pizza topping. 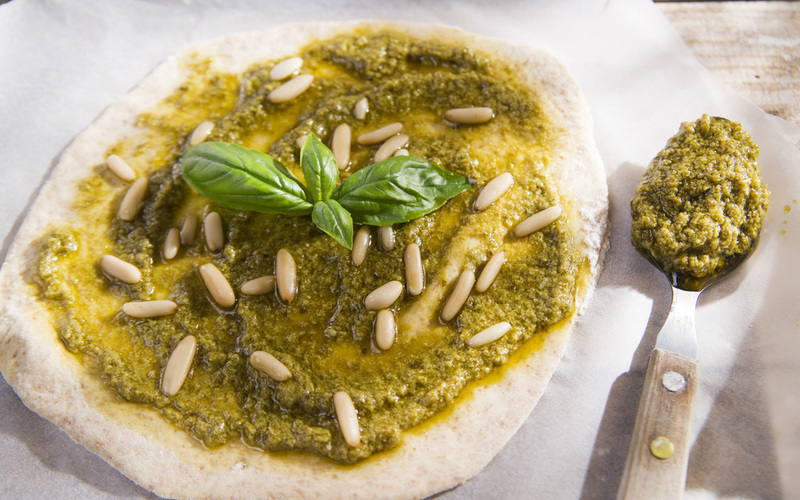 Try accompanying your favorite Massel product with basil pesto, pumpkin, red onion, spinach, pine nuts or cream cheese. What’s the difference between a marinade and a rub? A dry meat rub consists of a combination of spices, seasonings and herbs that you apply to the surface of meat prior to cooking. 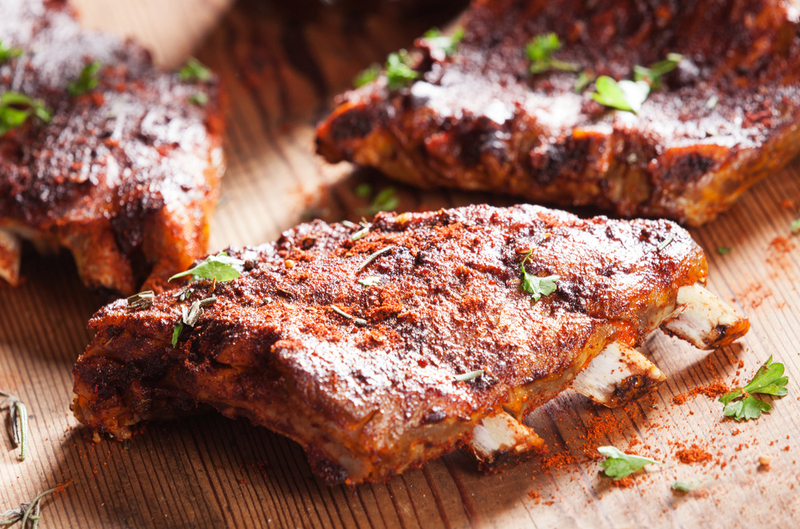 Unlike a marinade, dry rubs form flavorful crusts when grilled. Just add a little sugar to caramelize the meat and seal the in-depth flavors. For best results: Apply the rub, wrap the meat in plastic and let it rest in the refrigerator overnight or for a few hours. Bring back to room temperature before grilling. If you have a go-to recipe, make it in bulk and store in a screw-top jar for up to two months. Apply the rub to fresh meat and then freeze. Thaw and enjoy another time. HINT: Massel stock cubes and granules make for perfect rubs! For something different, consider adding mustard powder or herbs like rosemary, thyme and bay leaves.